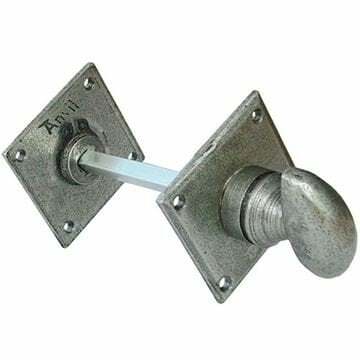 The Avon Lever on Rose is part of the Avon Sprung Lever Handles range by From The Anvil. 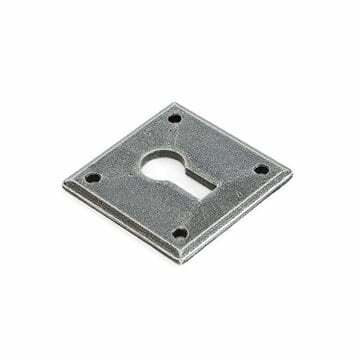 Backplate size - 52mm square. 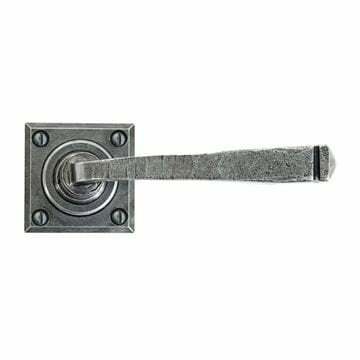 A stylish, yet contemporary version of the Avon handle which comes in both a sprung and unsprung version. The unsprung version is ideal for use with espagnolette locks. Supplied as standard with wood screws. Pewter Avon Key hole cover. 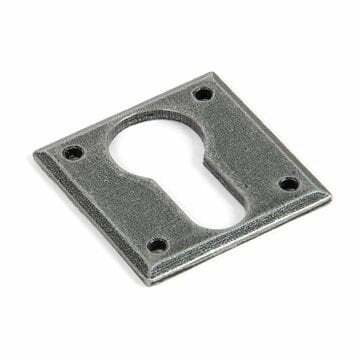 Pewter Avon Euro Profile key hole cover.